Jame Prosek fishes the 41st parallel from his home in Easton, Connecticut, to the mine fields of the Balkans in this entertaining travelogue. A journey of an angler, Fly-Fishing the 41st captures with words and colors the humanity and shared love of angling. 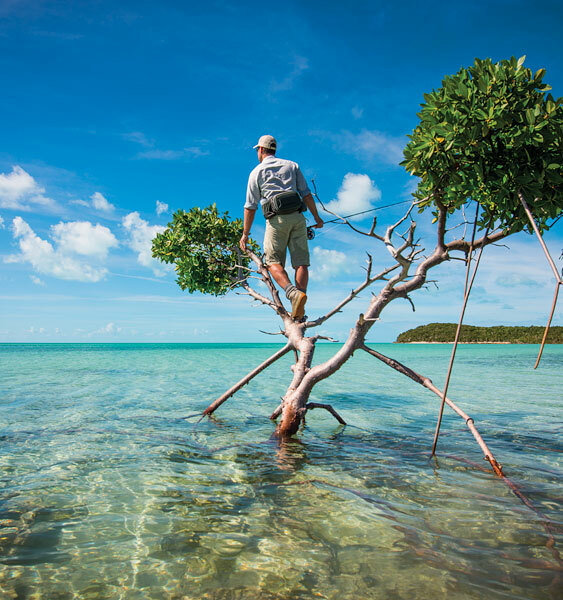 The New York Times has called James Prosek "the Audubon of the fishing world," and in Fly-Fishing the 41st, he uses his talent for descriptive writing to illuminate an astonishing adventure. Beginning in his hometown of Easton, Connecticut, Prosek circumnavigates the globe along the 41st parallel, traveling through Spain, Greece, Turkey, Armenia, Kyrgyzstan, China, and Japan. Along the way he shares some of the best fishing in the world with a host of wonderfully eccentric and memorable characters. It contains some of the great cities and great fishing of the world and was the approximate median of the ancient trade route from China to Europe known as the silk road. Throughout, he is at home on the water, continually meeting anglers of a variety of cultures. captures with words and colrs the humanity and shared love of angling. 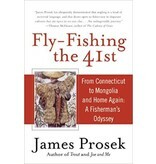 James Prosek is the author of Trout, Joe and Me, The Compleat Angler and Early Love and the Brook Trout. He is a graduate of Yale and lives in Easton, Connecticut. 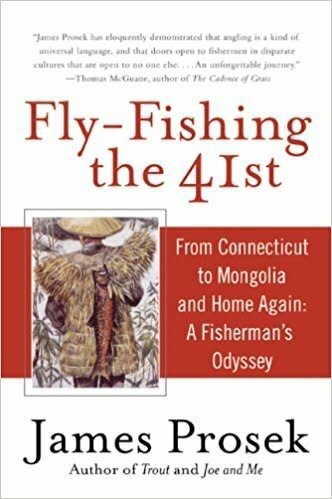 In preparation for his next book, he is currently fishing the 41st parrallel -- a trip that will start and end in Easton, and also take him straight around the world. Papa, papa!" said little Marlin looking up towards his father. "No, we cannot bring the fishing rods," said Pierre. He hoisted Marlin onto his shoulders, and we walked under the drizzle to Pont Neuf and down to the Place du Vert Galant over wet cobbles to the tip Ile de la Cite. "There are two islands in the river here in Paris," Pierre explained, "Ile St. Louis and Ile de la Cite. These are the two best places to fish. When the river is in flood, the fish stack up in the eddy downstream of the island where the current is broken. There are probably five hundred bream here. They especially don't like current, and at times the big silure come to feed on them. You would not believe, but you will see! They open their giant mouths and eat a four-pound bream whole. While you were skiing, my friends Jean-Pierre and Guy hooked eight off Ile St. Louis. They landed one that was about thirty kilos and lost one they said would have been nearly fifty - that's over 110 pounds!" West of where we stood was the metal bridge, the Passrail des Arts., on the left bank the Musee d'Orsay, on the right the Louvre. Downstream were Ile St. Louis and Notre Dame Cathedral, whose bells then indicated it was well into the afternoon. "This is the most beautiful pool in the world," Pierre said, passing Marlin to me as he climbed over a rail, "and the fishing gets better every year. The Seine was very polluted in the sixties and the only fish that lived here, if any, were carp and eel. Now there are thirty-eight species in downtown Paris. I only started catching silure two years ago, small ones. This is the first year we have caught such monsters." "And you eat them?" I asked Pierre. Pierre looked at me through his glasses, raising his gnomish nose and scratching his wavy hair. "Oh yes, we eat them," he smiled as if to assure me that I would eat them too. "The Seine is clean; my friend Andre insists that in a year or two he will swim in it. The source of the river in Burgundy is a spring-fed trout stream. We will fish it in May and we hope to find a nice hatch of mayfly. Both Francois and Vincent have access to excellent trout fishing on the haute Seine." "Did salmon ever run up the Seine?" "Yes, of course, all the rivers draining to the Atlantic in France had salmon. The run in the Seine was magnificent. The last one caught in Paris was in 1956." Pierre stopped to carry Marlin up the steps to Pont Neuf again by the statue of Henry IV. "Well, who knows," he continued, "maybe we will get one tomorrow morning. Maybe Guy and Jean-Pierre can join us. We'll fish until about nine in the morning, and then we must go and set up for the fly-fishing exhibition." That night, I slept wrapped in a wool blanket on the floor of Pierre's office. At eight he knocked on the door, came in with his key, and woke me. "Well, we slept too late, " he said standing over me, "but that's ok, I think. We have a long day ahead." He looked at his watch. "Let's walk down to Ile St. Louis anyway, to see if Guy and Jean-Pierre caught anything. We'll leave the rods behind this morning." Pierre and I walked along the Seine on the Quai des Orfevres to the facade of a newly renovated Notre Dame Cathedral, dim and ominous in the morning light. "They are wonderful fishermen, these guys," Pierre told me of Guy and Jean-Pierre. "I met them four years ago fishing on Ile de la Cite. One of them had caught a ten-kilo zander. I couldn't believe it! So I started to follow them and fish with them and made a small film of their fishing. I gave Guy a cell pone to call me if they caught a big fish, and I would ride my bicycle down to the river with my camera. I got them sponsorships through American fishing tackle manufacturers, so they now have good free equipment. They mostly fish with worms and they are very skilled. It takes a great deal of skill to fish a worm correctly - as much as it does to fish a wet fly." At this hour of the morning, Paris was quiet and the city belonged to the fisherman. The river was a beautiful eggshell brown and made the limestone facades of the city buildings seem a more luminous yellow and the zinc roofs a deeper gray. "They're out there, see?" Pierre said as we crossed Pont St. Louis to the Ile. The fisherman were two dark shapes on the tip of the island, standing with their lines in the water. "'Jour, Pierre," one said as we approached them. They had caught a bream and killed it. It lay bloodied on the cobbles. I shook each of their hands. "Well," said Pierre, looking into the opaque water, "if the bream are here the silure should be too." We stayed and watched them for a half an hour, but neither Guy nor Jean-Pierre had caught a fish, so we left to go set up booths at the fly-fishing exhibition. Pierre and I were on Ile St. Louis the next morning with our lines in the water. Pierre fished with a worm and gave me a heavy rod rigged with a big lure for silure. "I think Jean-Pierre and Guy are fishing at Neuilly," he said. He picked up his cell phone and called Guy to get a report. "What? Yes, Guy? Two bream, no silure. Okay. What? Vraiment? Okay, a tout a l'heure." Pierre put the phone in his pocket, laughing and shaking his head. "They caught two bream and Jean-Pierre hooked an ear." "An ear?" I asked, thinking I'd heard wrong. "Yes, apparently," Pierre said, casting. "You mean a human ear?" "That's what he said," Pierre said, casting. "What did they do with it? Are they going to tell anybody?" "What, and cause trouble? They are just fisherman."